Pakistan’s off-spinner Bilal Asif took six-wicket haul in his debut test as the visitors were bowled out for 202 on the third day of the first test in Dubai on Tuesday. Asif’s 6-36 saw Australia collapse from 142-0 to 202 all out in their first innings as Pakistan took a substantial 280-run lead. Australia were well-placed at 137 without loss with Usman Khawaja (85) and debutant Aaron Finch (62), but the slump followed shortly after as the Baggy Greens lost all 10 wickets for just 60 runs. 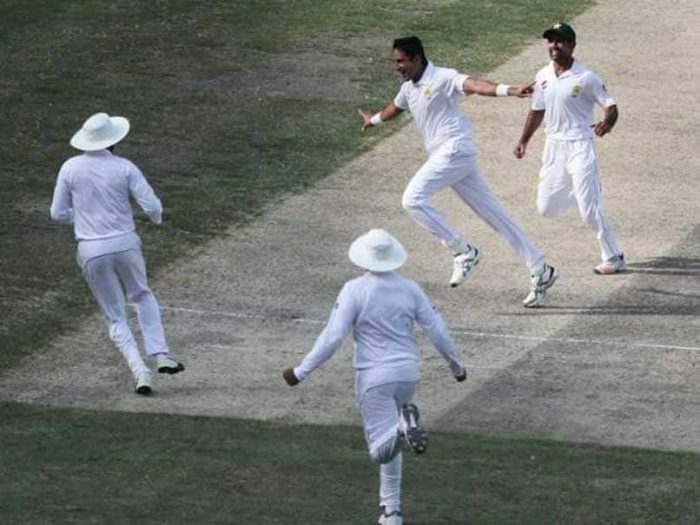 Pakistan were 45/3 in second innings and are 325 runs ahead of Australia at stumps on Day 3.